Your feedback is very important to us. Please take the time to fill out this brief survey. AOA is always trying to improve and we cannot do that without your input. 3. Overall Wire and/or Clasp Fit? 5. Was the product you ordered from AOA built to your specifications? 6. 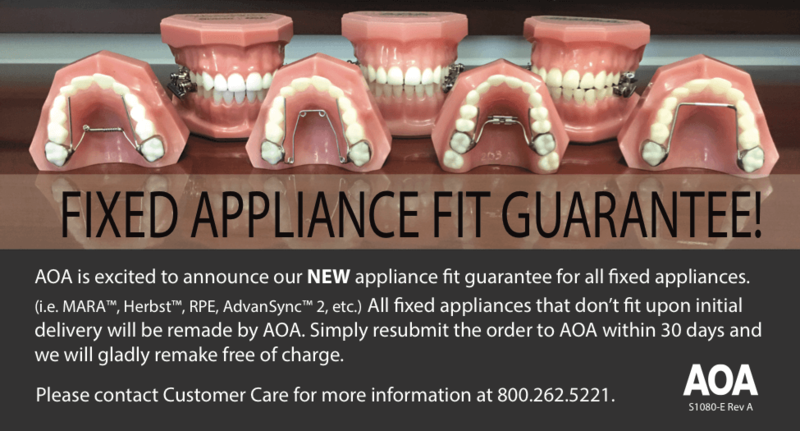 The likelihood of ordering this type of appliance again from AOA? 7. Would you like a Technical Support Representative to call you to set up special appliance preferences? * These dates are estimates based on current demand and may change sooner or later based on when your case arrives.